Toto Wolff has admitted his decision to relegate Valtteri Bottas to a support role in Lewis Hamilton's bid for a fifth world title had a "negative impact" on Mercedes' Finnish driver. Bottas was sacrificed in several races to aid Hamilton and had victory in Russia taken away from him to give Hamilton a boost. Bottas' strategies in races like Hungary and Italy disrupted Ferrari to boost his team-mate, but the lowest moment arrived in Russia, where the Finn had qualified on pole and led the race until he was ordered to let Hamilton through to win. After securing three wins in a solid debut season with the Silver Arrows, Bottas failed to make it to the top step of the podium at all in 2018, despite Mercedes taking a fifth constructors' title in a row. 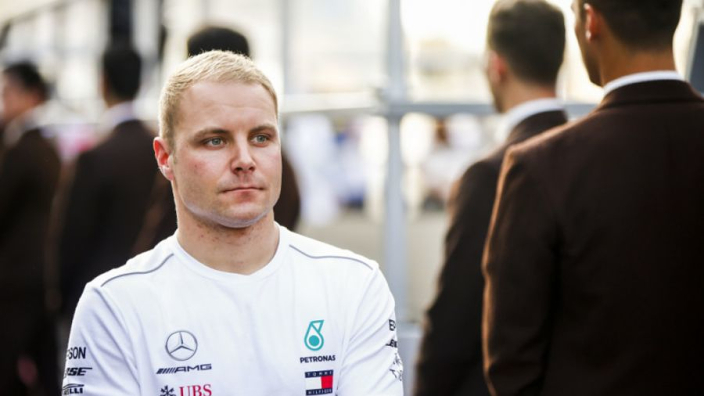 Bottas saw possible wins slip through his fingers in China and Azerbaijan in the early months of the campaign and Wolff says his driver performed better than is likely to be remembered. "I think he performed at a higher level in the first half of the season and that is reflected by the points," said Wolff. "He would have been leading the championship after Baku. "The moment you take away the ability to win the championship for a driver that is so focused on becoming a world champion, if he is in a Mercedes, that has a negative impact. "It has also impacted Valtteri even though he says 'no, I'm fine'. This is a fighter and I'm sure that this is a big blow that you have to mentally digest. "He has not let this negatively affect the team. But I think he needs some time off now to recharge the batteries and come back again for another championship next year."